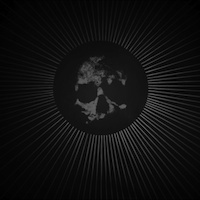 KAFIRUN brings forth the dirty black metal back to its origins, with fast tempo drumming and obscure vocals that drown the atmosphere back to the abyss. The melodies chosen for this album are best compared to a dark wave that swifts the listener back and forth 5 times and leave him dead in a rumble of destruction. The band originates from Vancouver, Canada and released so far another Demo from the year of their creation 2014, named "Death Worship". No label is responsible for the 2 releases and is all independent, just the way evil should grow itself, without the help of modern tech and only by the sight of the members of its cult. First track, "Wings of Malevolence", surprisingly, starts with a theme that SYSTEM OF A DOWN uses in many of its tracks and I can only guess that it's their way of attracting the unready listener to the KAFIRUN trap of death. Half of a minute later, the song burst into high riffs and diabolical drumming that slap and cut through the veins. The entire feel of this EP is of a prayer or a statement of a suffering soul that can't let go of the dark, or cling to it by its final breath. The second, "Salvation Through Sin", returns to the early MAYHEM era where long waves of clean vocals are mixed in the background and escalate the evilness in this song and through the rest of this dark EP. This motive continue through the rest of the songs, especially in the 3rd track "Destruction of the Divine Self" and the 4th "Chaos Magnum Opus" that are high on the blast bit, and riffs that are filled with fury and hate, leading the listener to enjoy the entire EP as a whole. You will not find any renovation here but true black metal to its core.